The Government is well aware of how expensive it is to remit funds abroad from South Africa. In response, Treasury will conduct some reforms, to apply, which, together with more competition and exemptions in the Financial Intelligence Centre Act (2001), should hopefully reduce the compliance burden for low-risk remittances and bring lower charges. Deliberations around minimum wage in Nedlac which was expected to end next month has resulted in deadlock. Concerns have been raised to whether the deadline around minimum wage will be achievable with a differing views on minimum wage. Nedlac wants a minimum wage of R5000 where employers want minimum wage to be aligned to the lowest wage sectorial determination, that of domestic workers. o	The first automatic exchange of information between tax jurisdictions took place in September 2015. The system is aimed at assisting revenue authorities across the globe with combatting base erosion and profit shifting. o	South African taxpayers who has been using offshore bank accounts to evade South African tax will be well advised to seek professional assistance in regularising their tax affairs as soon as possible. It is that time of the year again when Medical Aid Schemes are releasing their premium rates for the 2016 calendar year. In a comparison, conducted by Remuneration Consultants South Africa, the 2015 and 2016 contribution rates of seven of the most prominent Medical Aid Companies in South Africa revealed an on average contribution rate increase between 7.26% and 10.92%. 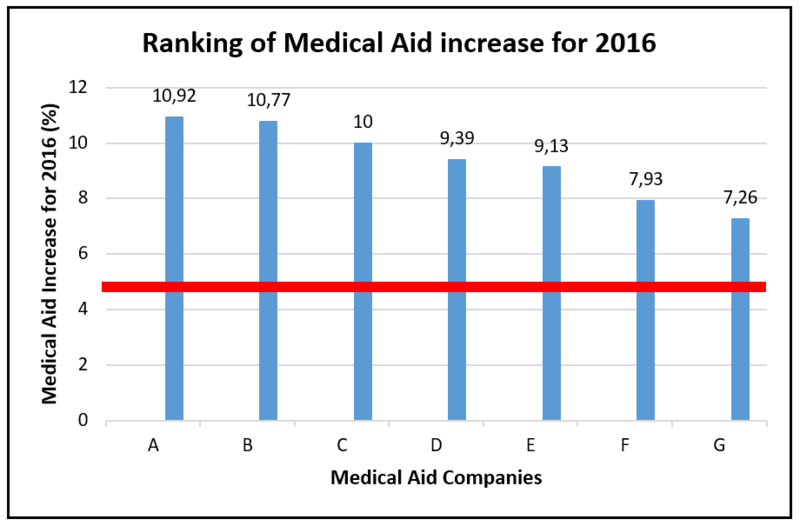 The graph below ranks the seven Medical Aid Schemes from the highest to the lowest increase. Whilst political opportunism, some would argue, delayed the Minister of Finance, Nhlanhla Musa Nene, from delivering his medium term budget statement in parliament in October 2015, the Minister eventually had an opportunity to address parliament. Amidst the building chaos outside of the parliament building and the weakening rand, the Minister announced a few important and interesting tax related matters. Click here for a summary and our comments. The Virgin founder shares how making employees the top priority can bring benefits for both customers and investors. Richard Branson was able to build Virgin into a global powerhouse by focusing on two key words: customer service.